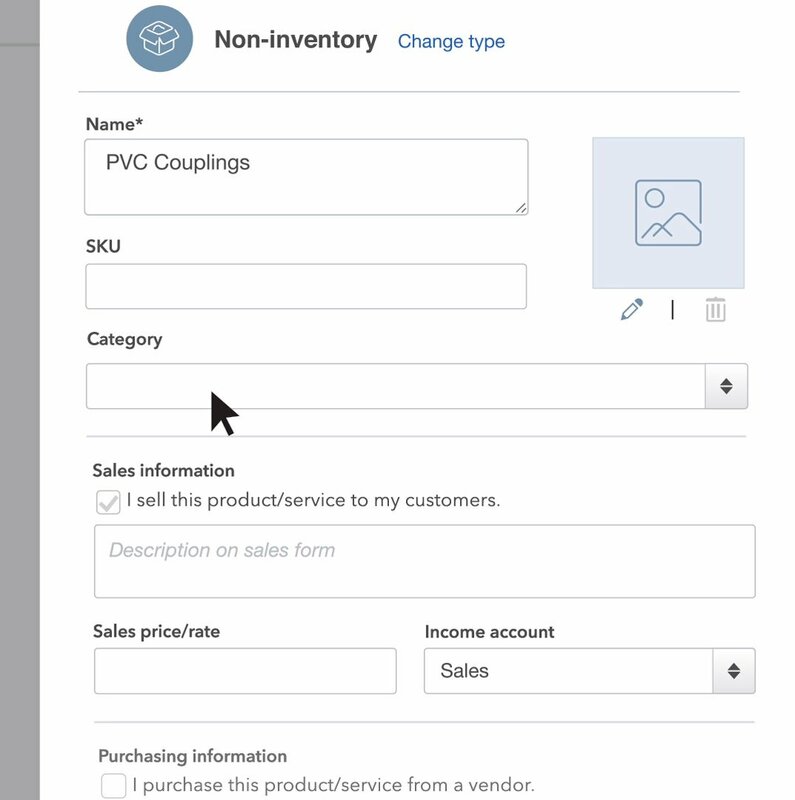 Need to enter information about your products into QuickBooks? 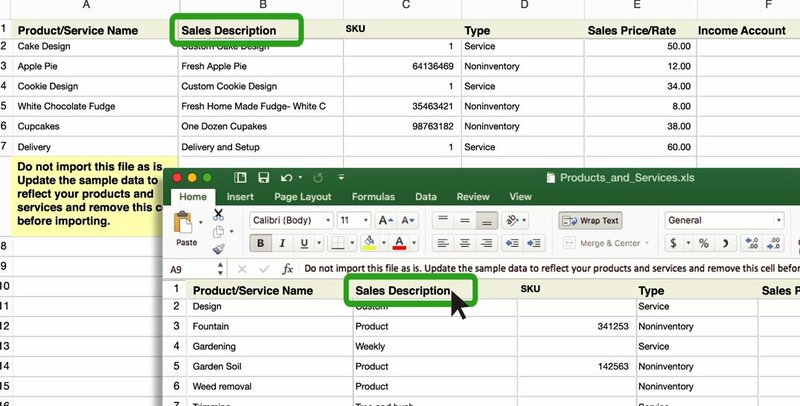 Here's how to add it, or import it from an Excel spreadsheet. 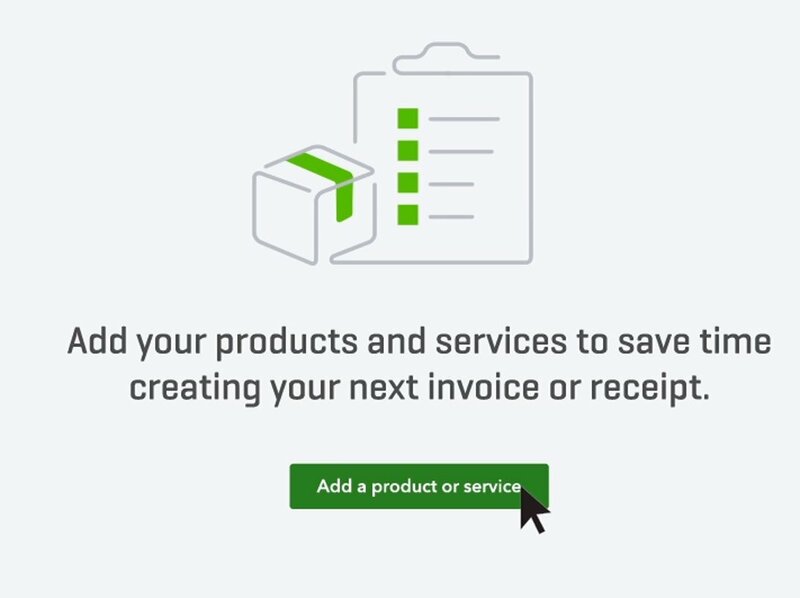 Click Invoicing or Sales, then Products/Services. 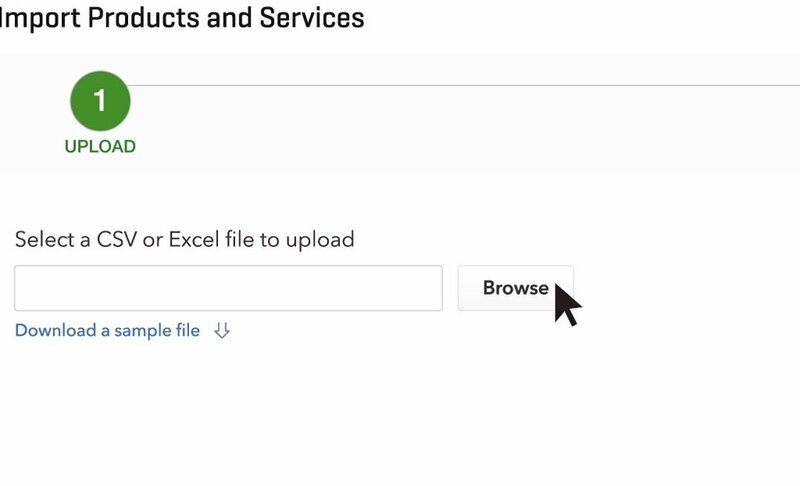 Click Add product or service. Select the type of product. 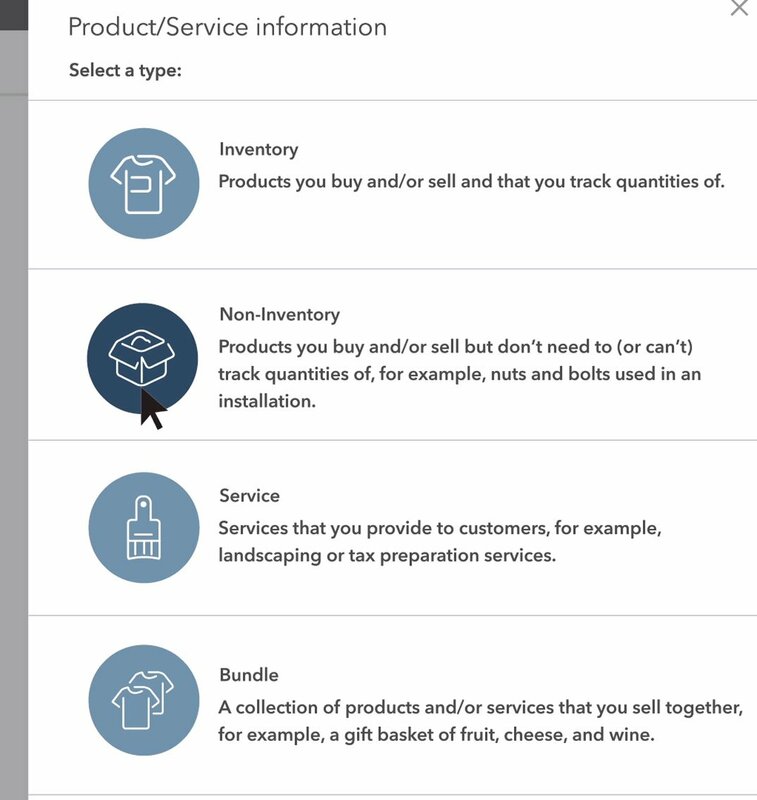 Is this an inventory product or a non-inventory product? If you want to track quantities of this product, select Inventory. If not, select Non-inventory. Fill in the information about the product, such as SKU and description. Click Save and close. 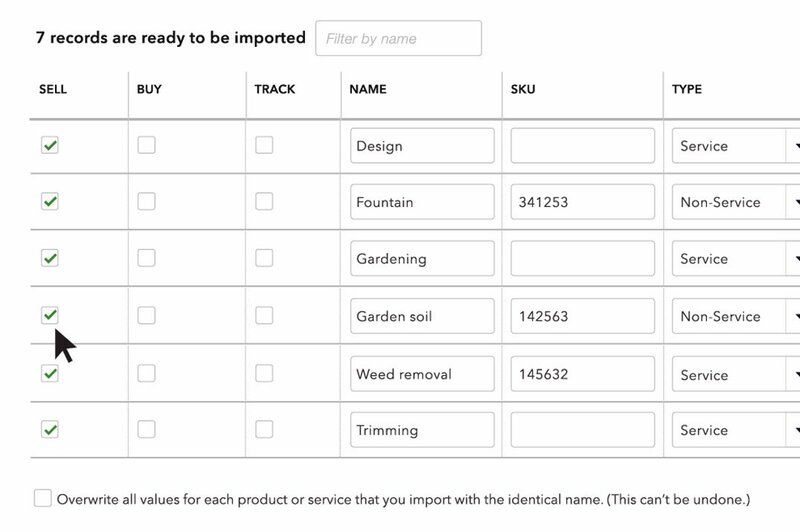 You can also import a spreadsheet of product information. Organize your spreadsheet to match the format shown below. Be sure your column titles and the order of your columns match this example. Click Browse and open your spreadsheet. 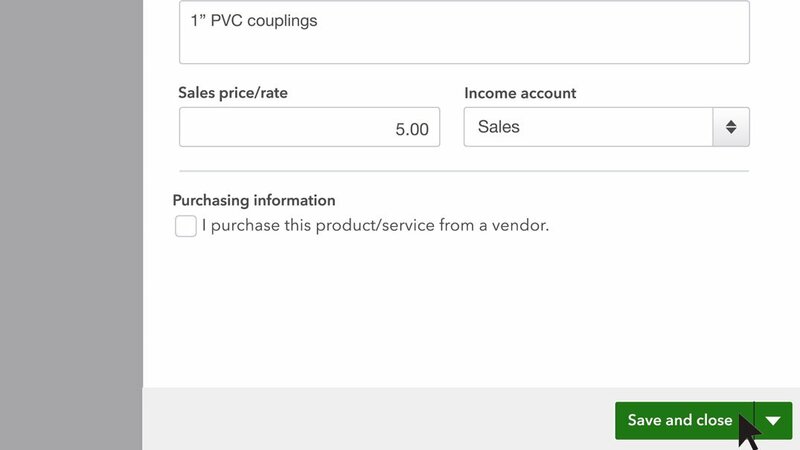 Map your spreadsheet data to QuickBooks fields. 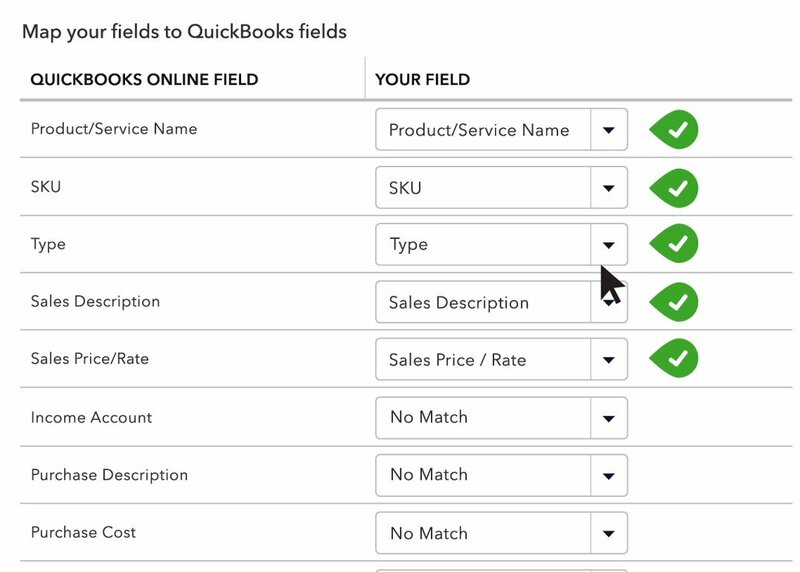 Now comes the interesting part–for each of the QuickBooks fields on the screen, choose one of your Excel columns. 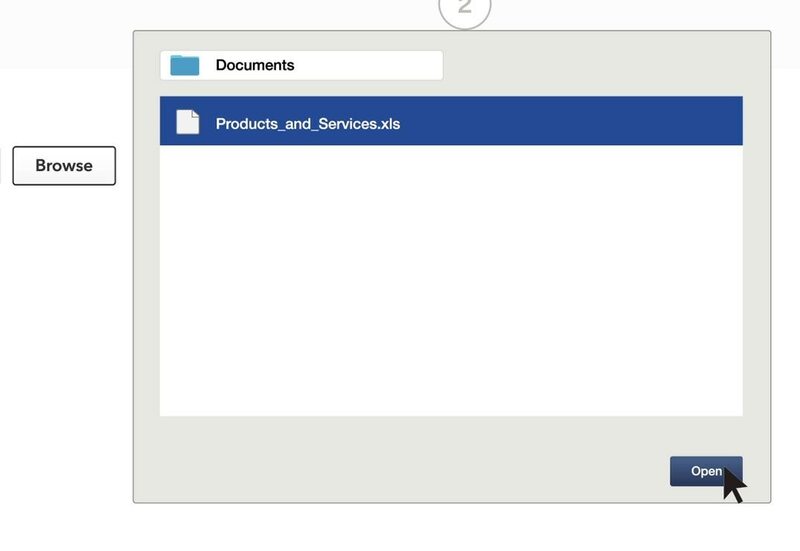 That column’s contents get imported into that QuickBooks field. 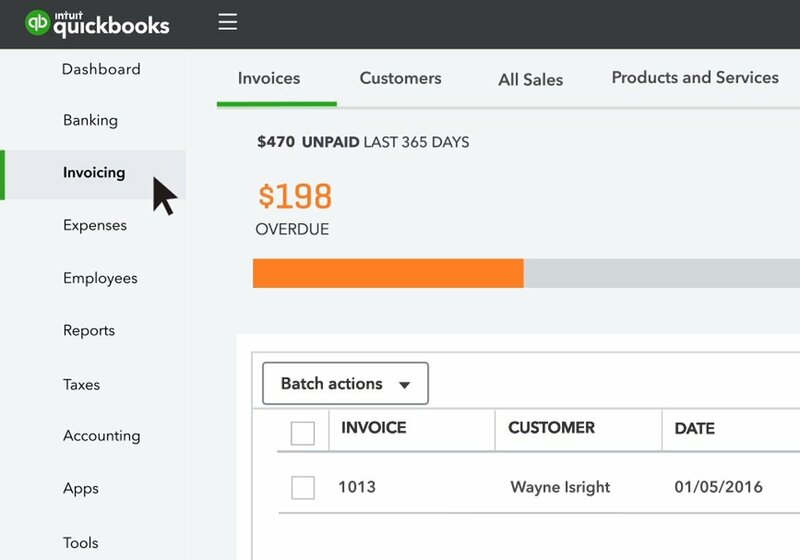 Now you see all your data and where it’s going into QuickBooks. Make any changes you needed. 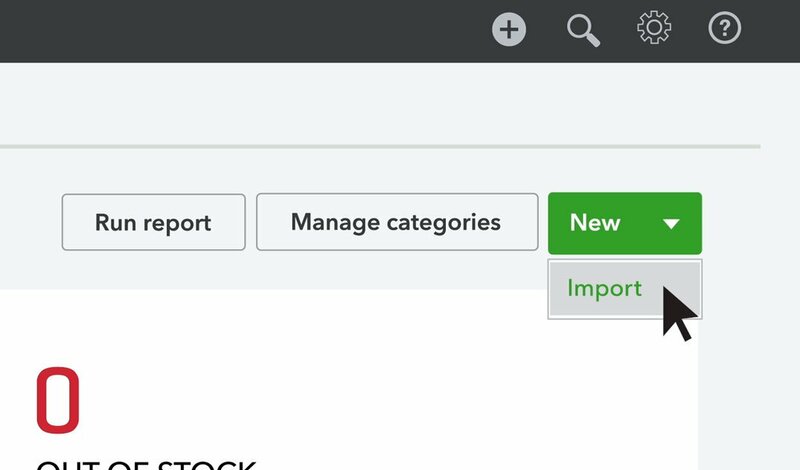 Then click Import.